Admiral Insurance has refused to comment on a story in the Daily Telegraph that it is considering the option of setting up or buying a personal injury law firm to where it could direct customers with claims in the wake of the ban on referral fees. Admiral’s shares have fallen in recent months, partly because of the impending ban, and the paper said “industry insiders have warned the company must move quickly to replace the loss of income”. It said about 5.6% of Admiral’s overall profits come from referral fees. The group posted pre-tax profits of £161m during the first half of the year. 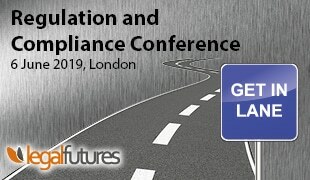 Meanwhile, Legal Futures can reveal that the Solicitors Regulation Authority (SRA) will next month hold a roundtable for officials, regulators, the industry and consumer representatives to discuss how to introduce the referral fee ban. An invitation to the event, seen by this website, says “there are clear challenges associated with carrying out the will of Parliament in this respect and we believe it vital to come together to ensure that any ban is constituted in a way that does not affect consumer choice or access to legal services”. 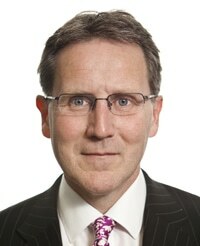 Labour justice spokesman Lord Bach has laid a series of amendments to the Legal Aid, Sentencing and Punishment of Offenders Bill that aim to remove most areas of litigation from the plans to end the recoverability of success fees and after-the-event (ATE) premiums, including clinical negligence, employer’s liability, professional negligence, privacy, defamation and judicial review. Another amendment seeks to continue allowing the recovery of ATE premiums where the policy is insuring the claimant against the risk of disbursements and any other risks that remain after the introduction of qualified one-way cost-shifting. An effective system to meet the disbursements of unsuccessful claimants has been introduced. The first day of the bill’s committee stage will be next Tuesday, the day before the House of Lords rises for Christmas. The Information Commissioner’s Office (ICO) is considering whether to seek powers to subject law firms to compulsory data protection audits, as recommended by MPs on the justice committee in their report in October, Referral fees and the theft of personal data. The ICO can currently only compel audits of central government departments, but has applied to extend this to local government and the NHS. It is also working on a recommendation to cover parts of the private sector, which is likely to include the insurance industry. However, an ICO spokesman told Legal Futures that it has not yet decided whether to include law firms. The SRA has warned solicitors to be on their guard against unwittingly, or otherwise, getting involved in the “difficult and evolving area” of land-banking schemes. Land-banking involves investors being approached by a company selling a plot of land with the potential that, if planning permission is later granted on it, it will soar in value. Frequently the company owning the land has divided it up into individual plots to sell on but, unbeknown to the investor, it may have planning restrictions on it. The SRA has drawn attention to one solicitor who was struck off earlier this year for his involvement in a collective investment scheme involving land-banking. See here for more information. Richard Collins, the SRA’s director of policy and standards, has been promoted to the position of executive director, with responsibilities for regulatory policy, standards, strategy and research. The new role gives the former Legal Services Commission official a seat on the SRA’s senior management team alongside chief executive Antony Townsend and three other executive directors: Samantha Barrass (education and training, supervision, risk, and international affairs); Mike Jeacock (authorisation, post-enforcement, operations, intelligence and investigations, along with organisational transformation, including IT and the SRA’s move to Birmingham next summer); and David Middleton (legal directorate and enforcement). 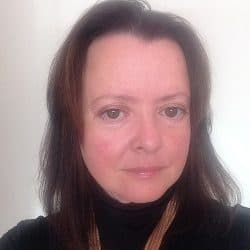 They will be joined next year by a director of organisation services, a new role established jointly by the SRA and the Law Society to provide shared services to both organisations. This director will also sit on the Law Society’s senior management team.